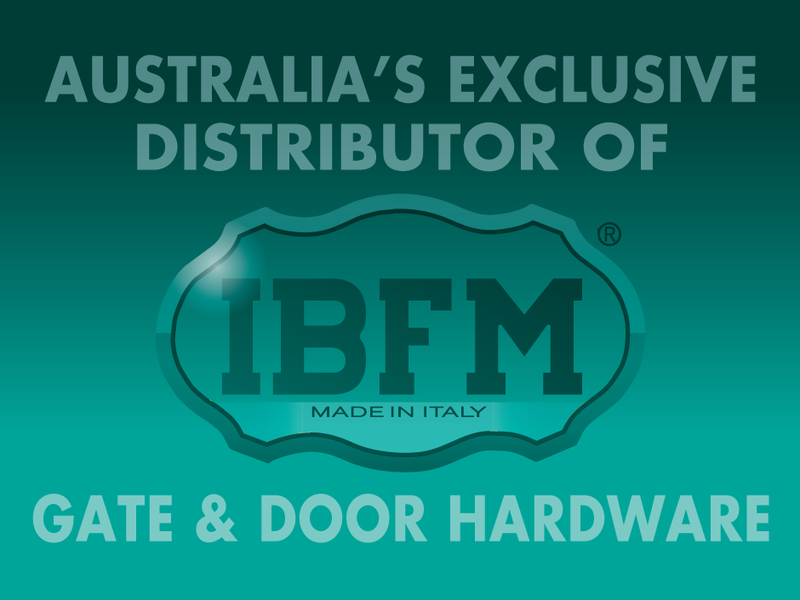 Global Access are proud to announce that we have been appointed by IBFM as the exclusive Australian distributors of their high-quality, Italian made Gate & Door Hardware! IBFM are ISO-9001 certified, and since 1947 have been producing high-quality Gate & Door Hardware and Accessories, all of which is manufactured in Italy to meet stringent European quality standards. Please feel free to look at the products offered by IBFM locally here in Australia, you are most welcome to contact us about items of interest to you, simply quote the part the number.